Prototype: German State Railroad (DR) type Otmm 70 self-unloading hopper car in Era IV. The car looks as it did around 1983/84. 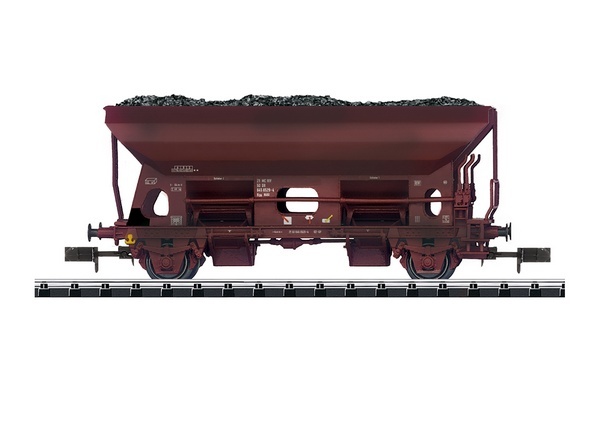 Model: The hopper car has a freight load insert of scale-sized real coal and authentically weathered. The car has a close coupler mechanism. Length over the buffers 60 mm / 2-3/8".